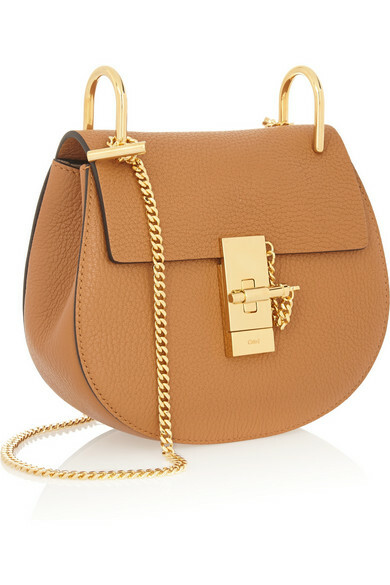 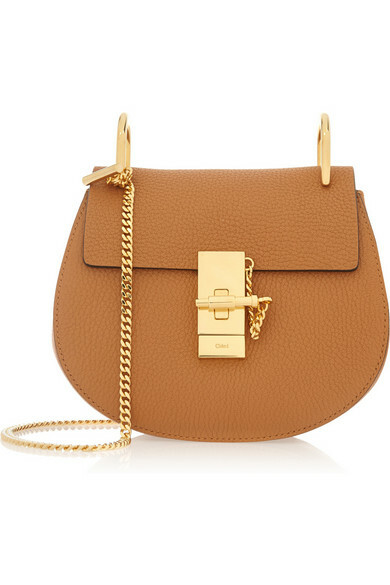 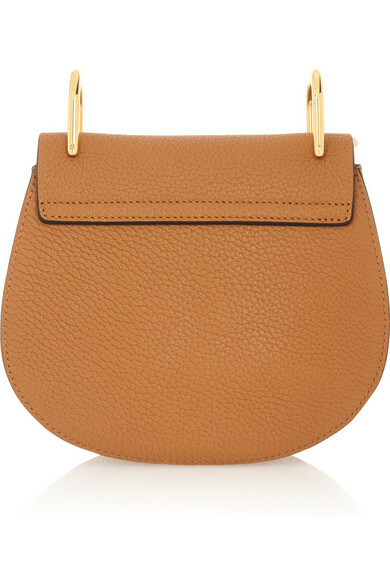 Coveted among the style set, Chloé's 'Drew' shoulder bag is feminine yet practical. 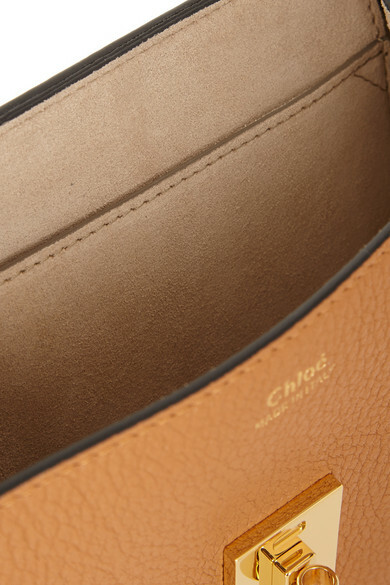 This tan textured-leather version is lined in smooth stone suede and has a slit pocket that's perfect for storing your keys and cell. 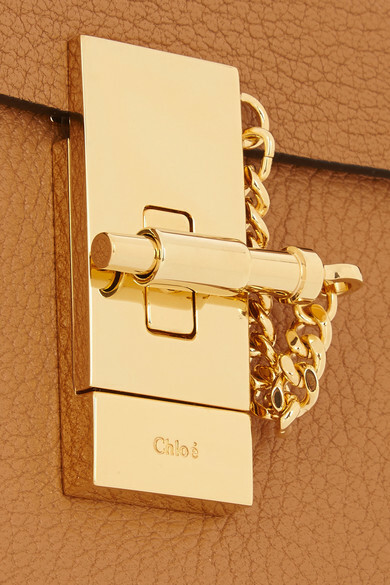 We love the polished gold chain strap and signature pin and clasp fastening that punctuate this piece. 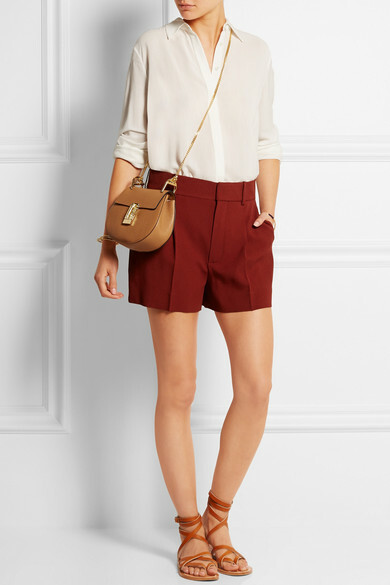 Shown here with: The Row Shirt, Chloé Shorts, K Jacques St Tropez Sandals, Lele Sadoughi Ring, Aurélie Bidermann Bracelet, Arme De L'Amour Bracelet.